Rainer Maria Rilke was born in Prague in 1875. He traveled a lot throughout Europe and settled in Switzerland, where he died in 1926 of Leukemia. He’s been writing in German both novels and poems. His language is powerful and he is perceived as mystical. He met Leo Lolstoi, Paula Modersohn-Becker and was married to the sculptor Clara Westhoff. 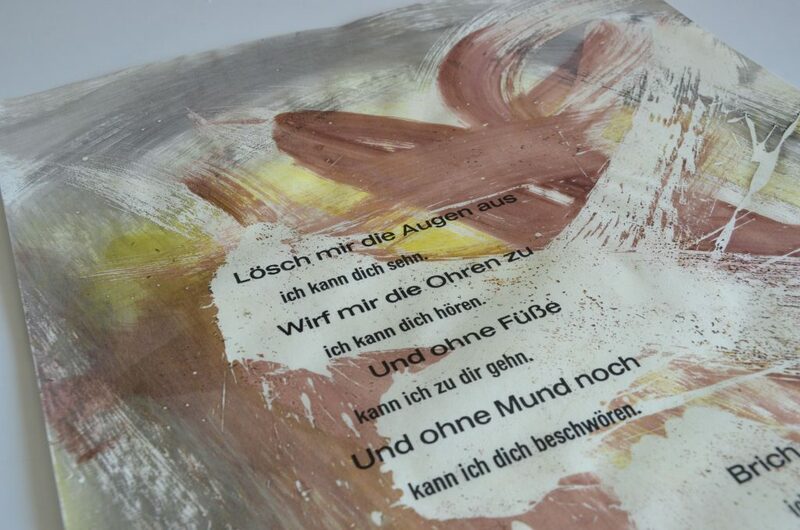 I printed two of his poems with the sheets painted prior to printing. This results in each sheet being unique. 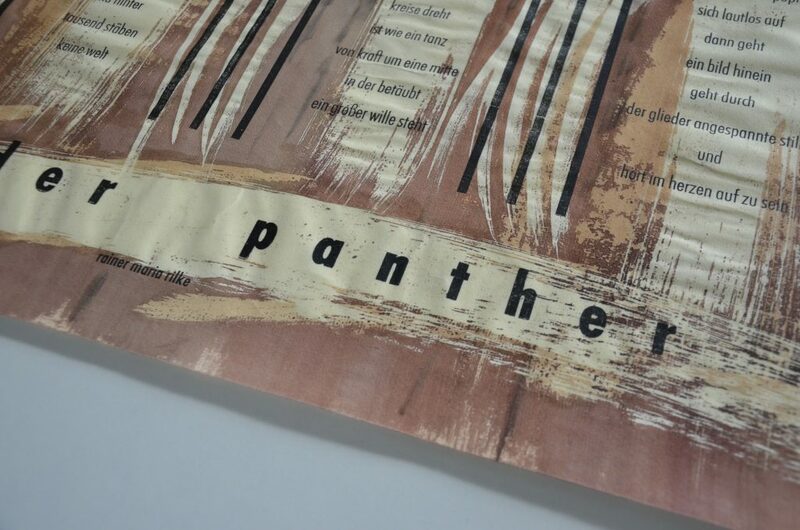 One of the two poems is “Der Panther” (The Panther). 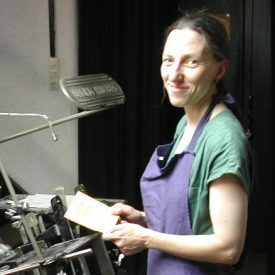 The deckle edge paper is used in landscape format of the size 78x35cm. I did 15 one-offs. The text is hand set from Futura. 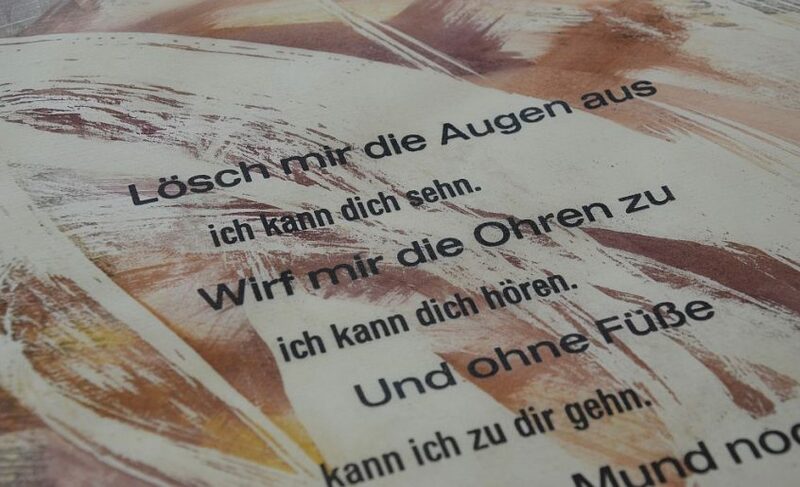 The other poem is “Lösch mir die Augen aus” (Wipe out my eyes). Here the deckle edge paper is used in portrait format, the size is 43x70cm. The text is handset from Folio Grotesk and the edition comprises of 16 one-offs. These broadsides speak entirely for themselves.